Sandmeyer Steel Company stocks Alloy 321 stainless steel plate in thicknesses from 3/16" through 4". A high carbon version, Alloy 321H (UNS S32109) stainless steel plate, can also be ordered in the same thickness range. Alloy 321 stainless steel plate is also advantageous for high temperature service because of its good mechanical properties. 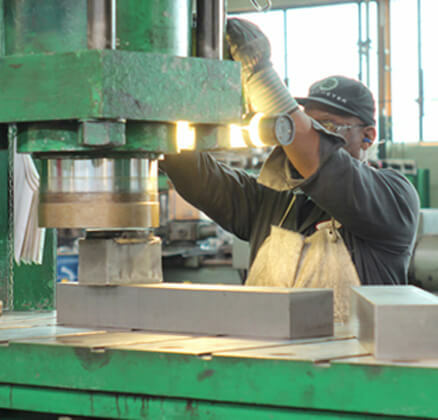 Alloy 321 stainless steel plate offers higher creep and stress rupture properties than Alloy 304 and, particularly, Alloy 304L, which might also be considered for exposures where sensitization and intergranular corrosion are concerns. Alloy 321 stainless steel plate cannot be hardened by heat treatment, only by cold working. It can be easily welded and processed by standard shop fabrication practices.